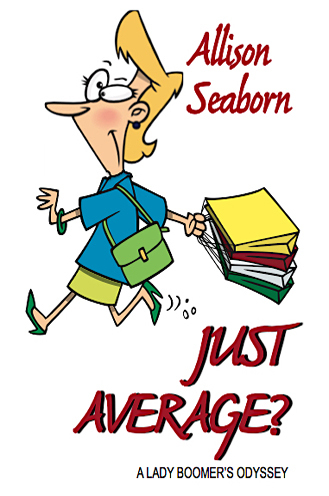 Allison Seaborn is twice-divorced, a mother-in-law, and a grandma. Just like many of her lady boomer sisters, she has started over emotionally and financially -- learning from both success and failure. With an M.A. 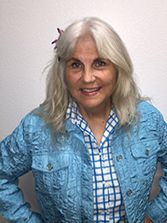 in Speech Communication from the University of Minnesota, she has taught community college courses in Interpersonal Communication. Writing and public speaking have also been at the core of her “other” career as a Director of Development/PR/Fundraising/Special Events/Volunteers for various nonprofits. "Lady Boomers" is a term for female baby boomers who were born between 1946 and 1964. Those in their 50s and 60s need – and deserve – something to lighten their lives after a long, demanding day. And here it is, a semi-fictional memoir with a lot of humor. Topics include self-esteem, dating, finances, parenting adult children, conflict, friendship and more, intertwined with feelings of being very ordinary, "just average," and past the prime. Even though the readers' experiences won't be exactly the same as Allison Seaborn's, their odysseys – "a long wandering or series of travel" – will resonate with the emotions and questions you have in common.